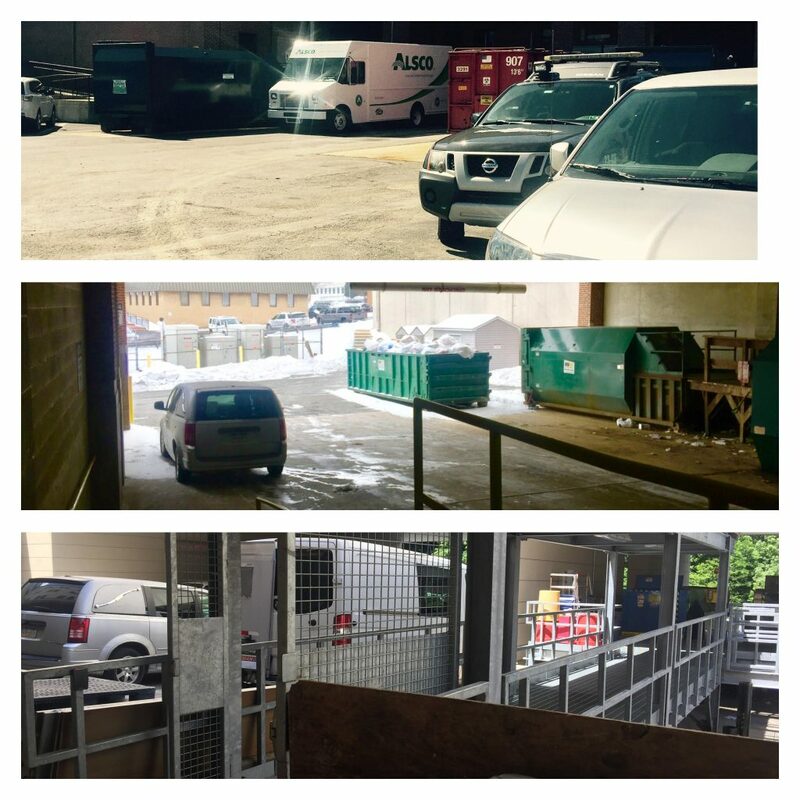 Most funeral directors will tell you that when you go to a hospital to pick up a deceased person, you’ll most likely park your removal van or hearse in the same area where the hospital throws out the trash. The above photo montage is from three local hospitals in my area. In each case, we park the removal van at the same area where they take out the trash. Certainly, the hospitals aren’t implying that the dead are trash, but what they are implying is that both the body and the hospital’s trash should be hidden from the public view. A couple months ago I shared a beautiful experience I had at a nursing home. 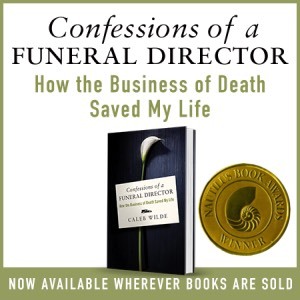 As I shared in that post, when we funeral directors come to remove a deceased person from a nursing home, most nursing homes have a “hide the body” mentality or a “back door policy” that ushers the deceased out the back door so no one sees it. As I’ve come to find out, some nursing homes have a “front door policy” where the death is acknowledged and the dead honored by the nursing home and its staff. My recent experience with this “front door policy” included the nursing staff creating a walk of honor. The staff lined the hallway walls as I left the nursing home with the deceased, acknowledging the life lived and lost. 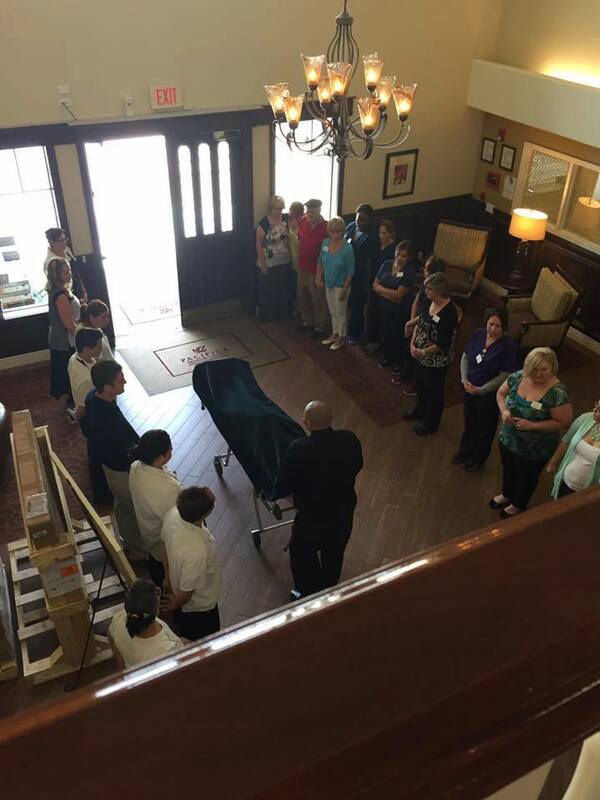 When I shared my experience with the “front door policy” and the “walk of honor”, Lisa B. shared this beautiful photo of how her grandfather’s nursing home practiced this acknowledgment of death when her grandfather died. As you can see, the staff is creating this beautiful walk of honor to acknowledge the passing of Lisa’s grandfather as he leaves the nursing home. I asked Lisa if I could share the photo with you and she gave me permission. This act, my friends, is a beautiful step away from death denial and towards death positivity. Nursing homes who adopt the “front door policy” deserve all the praise in the world. And I think hospitals need to take notice. I’m not suggesting that hospitals adopt a “front door policy” because I’m not so naive to think that nursing homes and hospitals are similar spaces. They are not. But, they aren’t entirely different. 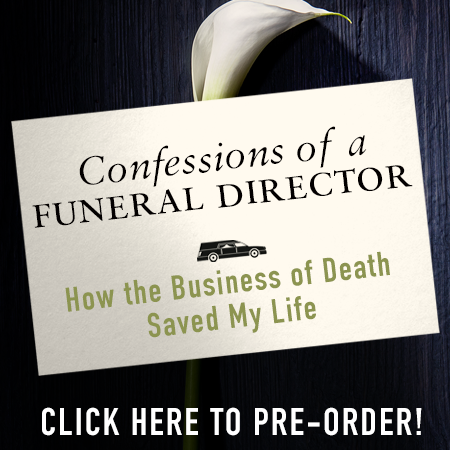 Finding ways to embrace our dead, instead of hiding them, is all a part of death positivity. We don’t need to fear our dead. We don’t need to hide them. We don’t need to be ashamed of them. Instead, we need to welcome the dead into our lives and allow them spaces among the living. However that looks at a hospital, I don’t know. But I do know that sending the dead out the same door as the trash isn’t it. This entry was posted by Caleb Wilde on July 4, 2017 at 10:32 am, and is filed under Denial. Follow any responses to this post through RSS 2.0.You can leave a response or trackback from your own site.